﻿ Con Reducer, ASME B16.9 Concentric & Eccentric Reducer Exporter. 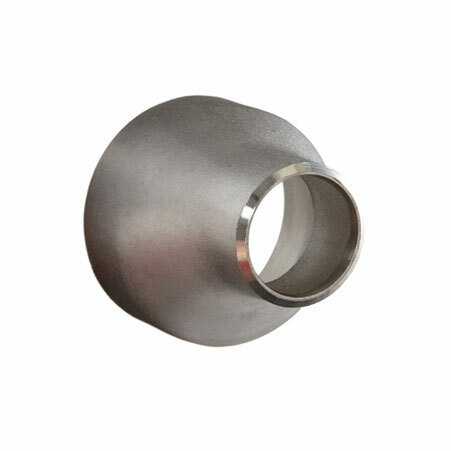 Titanium Concentric Reducer Manufacturer, Alloy Steel Eccentric Reducer Exporter, SS Reducer, High Nickel Reducer, Monel Reducer Supplier In India. We Amcometals, are an ISO 9001: 2015 certified company, with the technical know-how of crafting unique and quality-conscious products for over two decades. We have been providing industry specific solutions, goods that optimize production and minimize risks. 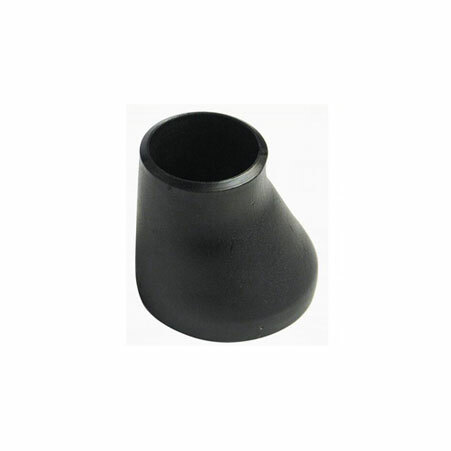 We are a manufacturer, trader, stockiest, supplier and exporter of Concentric Reducers, a fitting that fastens pipe sections on the same axis and has a conical shape. Our Inconel Concentric Reducer is excellent for slurry conveyance in heavy wear industries, like the automobile. We supply Nickel Concentric Reducers which resist crevice and pitting corrosion, while our Stainless Steel Concentric Reducers are very ductile and formable, useful in plumbing applications. We have built a portfolio of highly reliable products over a span of 25 years; we invent sustainable, economical and customized products. 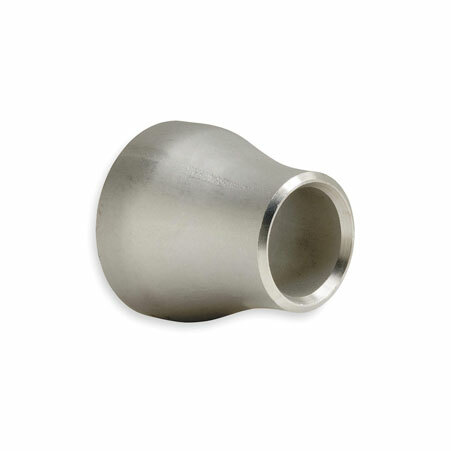 ASME / ANSI - B 16.9 Reducer Manufacturer, ANSI B16.28 Stainless Steel Reducer, SS Pipe Eccentric Reducer, Duplex Steel Concentric Reducer Supplier In Worldwide. Mexico, South Africa, Peru, Japan, Czech Republic, Finland, Greece, Morocco, Tibet, Argentina, New Zealand, Poland, United States, Indonesia, Algeria, Slovakia, Portugal, Macau, Kuwait, Sweden, Chile, Gambia, Kenya, Qatar, Thailand, Gabon, France, Hong Kong, Netherlands, Namibia, Iran, Mexico, Taiwan, Oman, Belgium, Saudi Arabia, Kazakhstan, Hungary, Ukraine, Pakistan, Lebanon, Bulgaria, Bangladesh, South Korea, Azerbaijan, Libya, Bahrain, Russia, Italy, Colombia, Romania, Singapore, Jordan, Malaysia, Germany, Switzerland, Nepal, Ireland, Sri Lanka, Norway, Brazil, Austria, Iran, Lithuania, Venezuela, Spain, Philippines, Egypt, Estonia, Poland, Trinidad & Tobago,Tunisia, Ghana, Turkey, Vietnam, Zimbabwe, Nigeria, Angola, Iraq, Australia, Yemen, India, United Arab Emirates, Chile, Bolivia, Nigeria, Costa Rica, Puerto Rico, China, Belarus, Israel, Serbia, Mongolia, Bhutan, Croatia, Afghanistan, Ecuador, United Kingdom, Canada, Denmark. Gurgaon, Kolkata, Thiruvananthapuram, Hyderabad, Ho Chi Minh City, Aberdeen, Kuwait City, Baroda, Pimpri-Chinchwad, Ranchi, Indore, Vadodara, Abu Dhabi, Haryana, Sharjah, Caracas, Cairo, Dallas, Ludhiana, Lahore, Singapore, Nashik, La Victoria, Busan, Bengaluru, Bhopal, Melbourne, Doha, Kanpur, Jeddah, Jamshedpur, Courbevoie, London, Port-of-Spain, Thane, Atyrau, Chandigarh, Toronto, Rio de Janeiro, Houston, Al Khobar, Coimbatore, Howrah, Brisbane, Colombo, Vung Tau, Santiago, Milan, Madrid, Jakarta, Mumbai, Nagpur, Sydney, New York, Ankara, Perth, Tehran, Ahmedabad, Hong Kong, Calgary, Secunderabad, Noida, Istanbul, Ahvaz, Ernakulam, Chennai, Jaipur, Kuala Lumpur, Ulsan, Dammam, Visakhapatnam, Los Angeles, Hanoi, Edmonton, Surat, Pune, Algiers, New Delhi, Granada, Gimhae-si, Faridabad, Karachi, Petaling Jaya, Moscow, Geoje-si, Navi Mumbai, Bangkok, Al Jubail, Rajkot, Bogota, Seoul, Muscat, Lagos, Dubai, Chiyoda, Montreal, Mexico City, Riyadh, Manama.